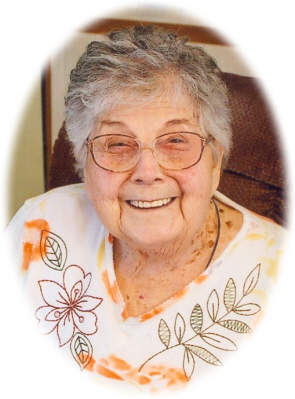 Alice Harriet Miller age 93, of Ovid, MI, passed away Monday, February 4, 2019, at the Ashley Care Center, Ashley, MI. Funeral Services will be held at Smith Family Funeral Homes - Houghton Chapel, Ovid, MI, on Thursday, February 7, 2019 at 11:00 A.M., with Pastor Scott Seehloff officiating. Burial will take place at Maple Grove Cemetery, Ovid, MI. Visitation will be held on Wednesday, February 6, 2019 from 2-8 P.M. with family present from 2-4 & 6-8 P.M. at the funeral home. Alice was born in Ashley, MI on March 4, 1925, the daughter of Daniel and Olive (Gray) Ordway. On September 16, 1944, Alice married Lawrence I. Miller Sr. in Henderson, MI; he passed away on March 26, 1994 after nearly 50 years of marriage. Alice retired from Ovid-Elsie Schools after several years, where she was a cook at North Elementary. She also cooked for several local restaurants in Ovid and Owosso. Alice enjoyed Birthday Club, bowling, bingo, and trips to the casino. She was a member of Flint School Mothers' Club. Alice was able to do a lot of traveling with her daughter Joy. Alice and Larry spent many winters at their home in Smithfield, NC. Alice was the matriarch of a 5 generational legacy. 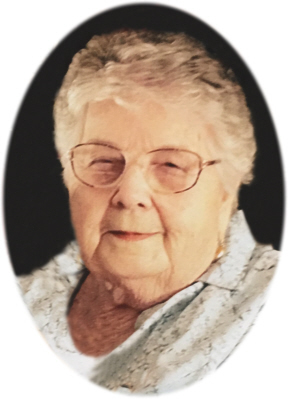 She is survived by her children: Ken (Shiann) Miller of Ithaca, Joy (William) Wreggelsworth of Elsie, Jim (Linda) Miller of Ovid, Ron (Mimi) Miller of Owosso, Dale (Deborah) Miller of Harrison; daughter-in-law Linda Miller of Ovid, 20 grandchildren, 40 great grandchildren, and 20 great great grandchildren. She is also survived by sister Bessie (Don) Crowell of NC, and sister-in-law Bonnie Ordway of NC. She was preceded in death by her parents, husband Lawrence I. Miller Sr., daughter Jean Wadley, son Lawrence I. Miller Jr., an infant great great grandson, and siblings: William (Hazel) Ordway, Mary (Clarence) Ostrander, George Ordway, and Robert Ordway. In lieu of flowers, memorials may be made to Shiawassee County Humane Society 2752 W Bennington Rd Owosso, MI 48867. Online condolences for the family may be made at www.smithfamilyfuneralhomes.com. The family is being served by Smith Family Funeral Homes - Houghton Chapel, Ovid, MI.